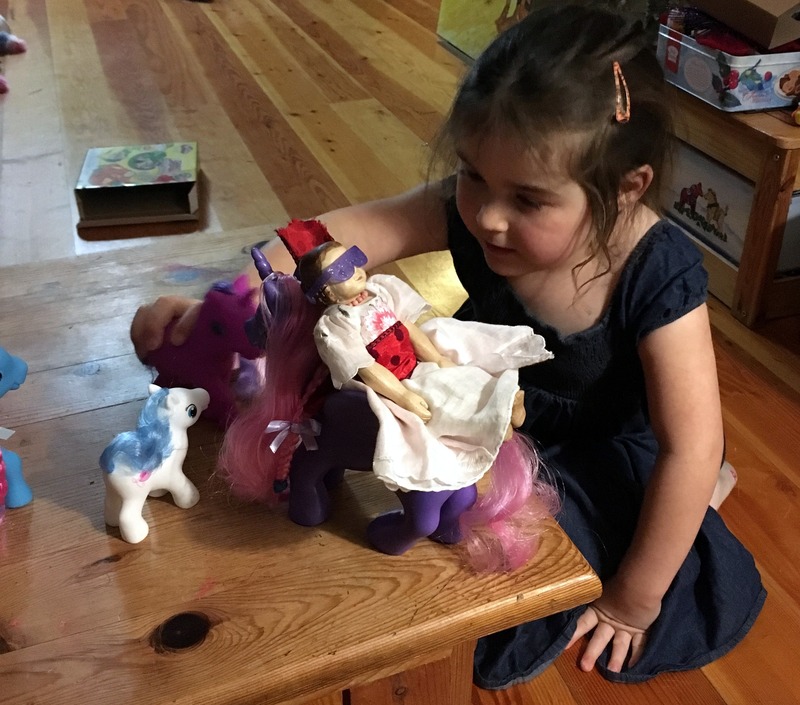 …but in fact, she is working hard to help her little girl tame the new Unicorn and Pony herd! Thanks to Dulcie’s new human family for the photos. Oh that is wonderful, always good to find a Hitty helping a human 🙂 Especially a child! Super photos. Dulcie is having so much fun with her new family! What fun adventures await Dulcie, new types of adventures it seems. Thanks to Dulcie’s human family and initial family for forwarding us glimpses of her “new” life. No doubt Dulcie’s sweetness will help persuade the Unicorn and ponies to calm down. I think Dulcie will be happy there, the family is very welcoming and imaginative, I was so happy to get this update! Dulcie is having such a lot of fun! We love that we are a part of this delightful playtime! Who would have guessed that Dulcie was going to have such an adventuresome life with the smallest Quimper human. Taming unicorns and small brightly colored ponies is a BIG job!! 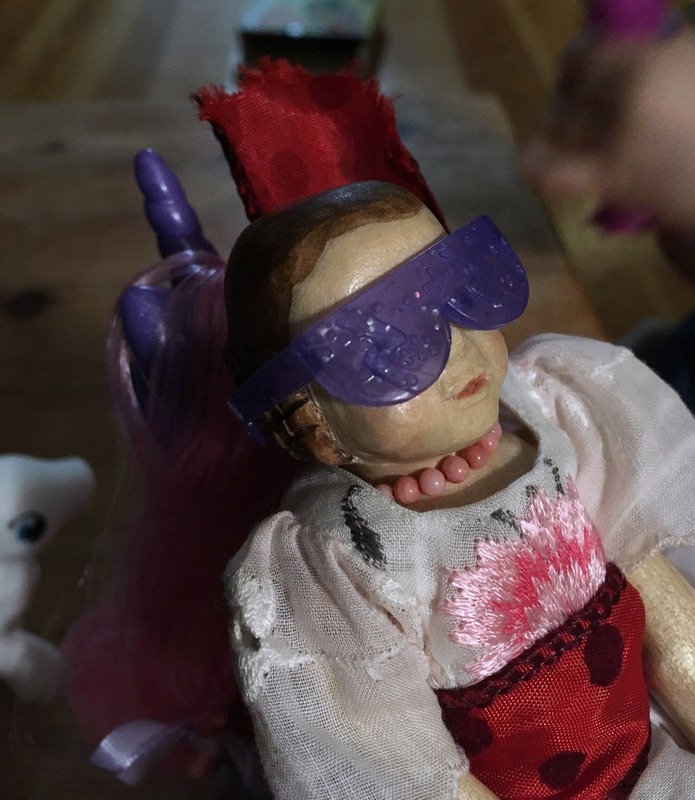 It’s a good thing Dulcie is ready and willing to help with the ponies and unicorns – they all seem to be having a grand time! It made me smile so much to see it! wish I had Hittys back when I had ponies and unicorns! They seem to go well together!